SAVE YOUR SOUL... WITH COFFEE!? When you've made a few missteps in your life and the devil gets rather grabby with your soul, you've only got a few options to keep what's yours and get on with your life. Unfortunately, that usually means trying to survive a pretty punishing quest! Of course, so long as you've got the power of... whatever it is that Cuphead and Mugman can fire from their magic little digits, you might be able to win the day! Get ready to take down the likes of Hilda Berg, Baroness Von Bon Bon, and Captain Brineybeard! Surviving the game itself might be a pretty daunting task, but you can have the heroic looks you need with this Cuphead Mask. 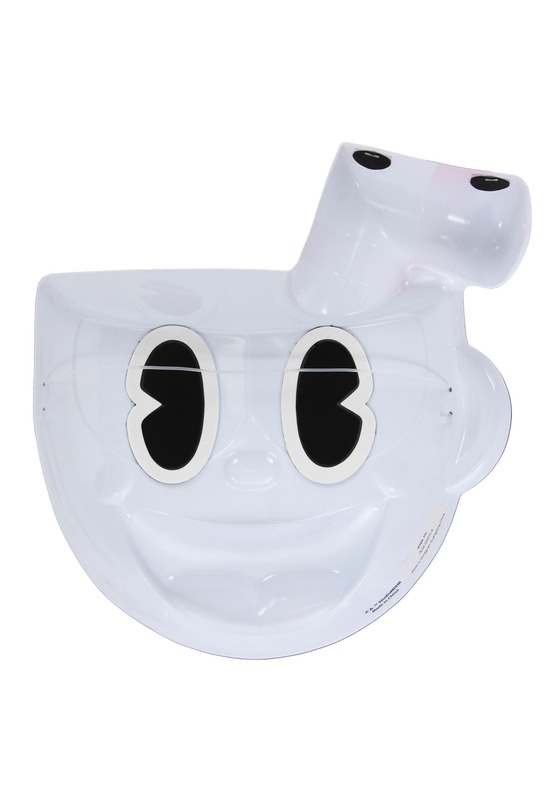 This Vacuform plastic gives you the perfect styling of the old-timey cartoon style hero from the wide smile and bright eyes. No souls required even though it will feel like you've got all the power! When you're a walking, talking, magic-shooting giant cup, there is a certain expectation that the liquid you've got in your bean is probably hot. Cocoa? Coffee? Who knows!? But, why the straw!? 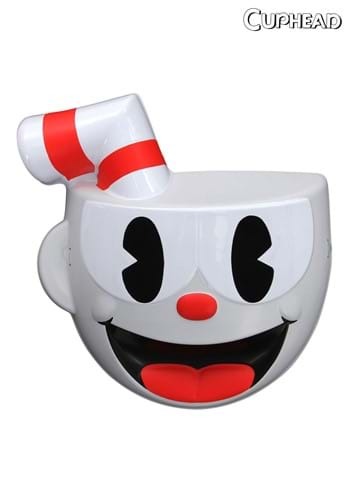 Solve the question of the ages or at least pretend you know when you transform into Cuphead with this mask!